The best thing about our Carbon Steel Tubular locked Handcuff (Phc-k03) is that it is advanced in the design as well as construction of wrist restraints. 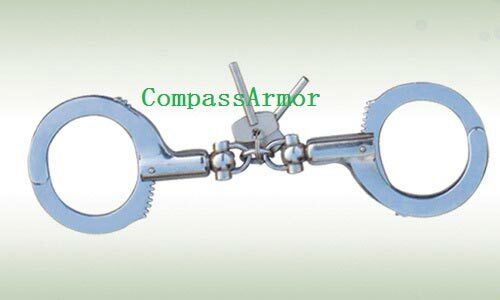 We are one of the prominent Manufacturers, Exporters and Suppliers of Carbon Steel Handcuff. It is manufactured using high-grade carbon steel that makes the product highly durable. We conduct stringent quality tests on Carbon Steel Handcuff so as to ensure that only the defect-free product reaches the customers’ end.